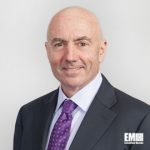 TYSONS CORNER, VA, November 3, 2015 — Mark Testoni, president and CEO of SAP National Security Services (NYSE: SAP), believes cyber warfare has become an added dimension to conflict that targets critical infrastructure, ExecutiveBiz reported Monday. The Federal Times reported Friday that Testoni pointed to Russia’s use of cyber attacks as a tactical weapon to support kinetic force during the country’s incursion into Crimea. “Our warfighting capabilities today generally are nation-state versus nation-state, generally in land, space or air… Now we’re entering a new dimension where the Internet blurs the lines, ” he said.